This is our introduction to day trading and everything related to the subject. We will answer questions about what day trading actually is, we’ll compare it to long-term investments, and we'll provide tips and advice on what markets and strategies are the best and how to get started. Consider this your go-to introduction to day trading and a reliable source of information for beginners. Are you looking for the best trading platform in the world? We have done the job for you. Over the years, we have reviewed brokers in the hundreds. Today we have arrived at a point where we only recommend between around 15 trading platforms to our users. But out of those 15, which ones belong on our top 3 list? 1. Markets.com – Our favourite broker. Markets.com is generally considered one of the best options for day traders today, beginners and pros all alike. 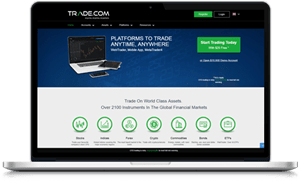 This broker offers an impressive selection of tradable assets and is fully regulated. Sign up with a free demo account, or open a real account. With a combination of the MetaTrader 4 and MetaTrader 5 as well as DMA trading opportunities via the MT5, there is no doubt that Trade.com has one of the best trading platforms in the UK. Switching between trading forex on MT4 to a few cryptocurrencies on MT5 and then finishing off with some American stocks is easy and it keeps the trading experience fun and exciting. Better yet, Trade.com is very easy to handle even for beginners. 3. eToro – Great for beginners, offers copy trading. Another broker that might be extra suitable for beginners, since they are offering copy trading, also knowns as social trading. This is one of the most popular brokers on our site and its not for nothing. 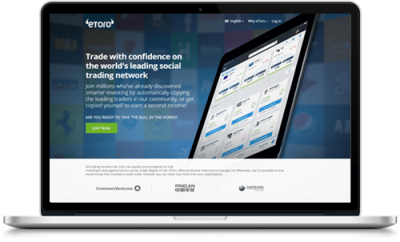 eToro offers an impressive trading platform. Also offers a free demo account along with a real account. The definition of day trading is when someone buys and sells a security within the same day. It’s the opposite of a long-term investment and day trading can be used to financially sustain your everyday life. It takes a lot of practice, a great understanding of the economic systems, and an incredible dedication to become a successful day trader but thanks to technological advances and internet-based tools, it has never been easier than it is today. Generally speaking, day trading is done with stocks or currencies (forex), and over the last couple of years, cryptocurrencies have become increasingly more popular among day traders. In most cases, day traders focus on one market since it requires extra work to trade on several markets at the same time. The goal of day trading is to make as many profitable trades as possible during one day by utilizing small market movements on several securities at the time. In order to do so, day traders tend to use high leverage which can create more profit but also increase the risk. So, that was a short introduction to what day trading is. Now we’re going to take a look at how you day trade, what’s needed to get started, and what will be required of you to become successful. Market – Your first step is to figure out which market you’re interested in. It’s always better to focus on one market and become a master at one type of security than to spread yourself too thin. We’ll talk more about different markets further down. Study – After deciding which market you want to day trade on, you need to learn as much as you can about that specific market. The more knowledge you have about the marketplace the easier it will be to trade. You also want to learn everything you can about leverage, tools, platforms, and everything else involved in the trading process. Strategy – Before you start trading you need to decide on an strategy. Trying to day trade without a strategy is not very wise, and it will most likely result in you losing money. Certain strategies are easier to use than others, and some tend to be better for specific situations. Because of this, we suggest you try to learn a few different strategies that you can apply to different scenarios. Trade – It’s now time to put your knowledge to the test and start trading. You’ve already decided on a market and a strategy, and your goal is to now analyze the market looking for a security that you think will gain enough in value for your to make a profit before the market closes. Stocks are some of the most popular securities to trade as a day trader. Many people working on Wall Street are involved in some sort of day trading with stocks and in some ways, day trading originates from the stock market. The majority of stock traders invest in major stocks on the biggest stock exchanges but there are some that make a living from day trading penny stocks. Note that penny stocks are associated with higher risk than blue-chip stocks. Together with stocks, forex is the most commonly traded security among day traders. The availability, quick market changes, and great selection are some of the benefits that forex offers. Also, forex trading isn’t really that well suited for long-term investments and most people that trade currencies do so short term. Cryptocurrencies have become one of the most day traded assets in the last few years. Before the uprise of cryptocurrencies, day trading was limited to a smaller group of professional traders, and many thought that day trading was an exclusive form of investing. However, nowadays “regular people” who had never thought about day trading before are living as cryptocurrency day traders. These assets provide many benefits for the day trader, especially the quick, unexpected, and quite extreme price changes. Commodities are not typically day traded although there are a few exceptions as well as the possibility of speculation on commodity prices using CFDs (see below). In fact, most people that invest in commodities do so with long-term goals and often using futures which are more profitable the longer you hold on to your investments. What all the above-mentioned securities have in common is that they can be traded as Contract for Difference (CFD). CFD trading is a speculative investment form that lets you invest without owning. A CFD is technically a security, but instead of buying a stock or a currency pair, you buy a contract that represents the price of the underlying asset. Your goal is to predict in which direction the price of an asset will move and buy a CFD that represents that prediction. 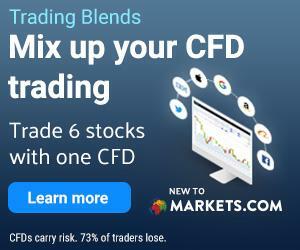 One of the many perks with CFDs is that you can trade on all major markets under the same roof using the same concept and the same platform. By signing up with one of the many CFD brokers that we recommend to our readers, you will gain access to all of the world’s markets as well as investment opportunities you didn’t think were possible. 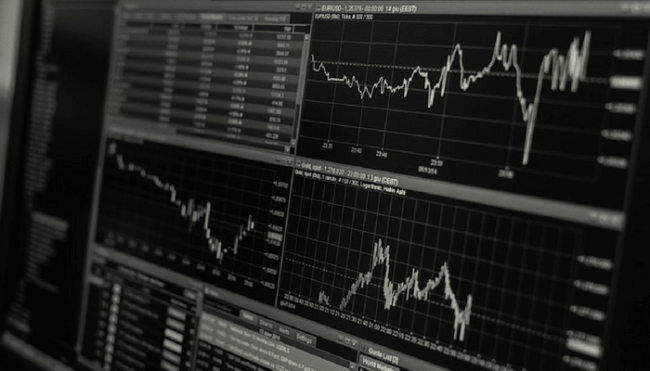 Another benefit of CFD trading is that it’s always leveraged which is a requirement if you’re looking to make any real money from day trading. CFDs can also easily be used for short trading and betting against the market. Short trading is a term used to describe the act of investing in a security that’s decreasing in value. Obviously, it’s most common to invest in securities that are bound to increase in value since that will let you sell for a higher value in the future. However, there are situations where a trader might be convinced that a security is about to drop in value and there are ways one can benefit from that too. CFDs are perfect for short trading since your goal is to predict market movements and not only to buy assets that will increase in value. In general, short trading is more common among day traders than other traders. The reason is that day traders tend to be extremely intuitive about a smaller number of securities, meaning they almost always know if the value of a specific asset will increase or decrease. We’ve already mentioned leverage in this post and thought we would describe it a bit better. Leverage is a way to create added investment value on the market by receiving a margin (a loan) from a broker or bank. This increases the possible profit you can make from a specific trade but it also increases the risk, and therefore it needs to be handled with extreme caution. Leverage is commonly used in day trading since securities tend not to increase very much in value over a day. For example, if you invest $10,000 in a company stock and that stock grows by 3% during a trading day, you will have made $300. A 3% increase is highly unusual, and that kind of profit is not enough to sustain anyone. However, if you invest $10,000 in the same stock using 1:10 leverage your potential profit would be $3,000 instead. What Makes a Day Trader? That was our quick introduction on how to day trade and specific information involving this type of investment. Now we thought we’d continue by answering a question we often get from people looking to start day trading. What do I need to start day trading? Well, there is not a single answer to this question but what we can tell you is that if you follow the steps we listed at the beginning of this article, you will be well on your way. But there is more to it. If you really want to succeed you need the following. Discipline and Knowledge – As a day trader you need to be highly disciplined. You will have to sit down and study graphs, analyze the market, and execute trades for 8+ hours every day to see any results. On top of that, you will have to be able to handle stress very well and not let losses get to your head. Knowledge is another key factor to becoming a successful day trader – you need to have a great understanding of the market you’re investing in, and you need to be willing to keep learning new things and adapting to new scenarios and markets. Tools – Access to state of the art tools is another extremely important part of your success. By signing up with one of the trading platforms that we recommend you will gain access to the latest trading platforms, the best analytic tools, educational material, and everything else you could possibly need to analyze the market in the best way possible. The better the tools you use, the better the possibilities are for you. Naturally, day trading is associated with certain risks. Even the best traders aren’t always right with their predictions and losses happens on the regular. If you trade with leverage, those risks increase and you can even end up losing money that you never invested. There is no such thing as free or easy money, especially not when it comes to day trading. If something sounds too good to be true it probably is and you should stay away. Only use regulated and authorized brokers and exchanges when trading. By using an unregulated broker, you run the risk of being ripped off before you even get the chance to trade.